The drama and pomp associated with conceptualized metal wouldn’t be the festival-dominating force it is today without Virgin Steele. Since 1981, the Long Island outfit (guided by founding member/primary songwriter/vocalist David DeFeis and longtime sidekick/guitarist Edward Pursino), has been cranking out of theatrical metal of its own kind. 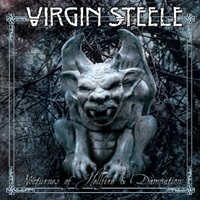 Once past their tauter and song-oriented 80s output, Virgin Steele hit their stride in 1994 and 1995 with the two-part The Marriage of Heaven and Hell, which, if you ponder the grand scheme of things, are high-write power metal bedrocks, complete with epic motifs, soaring vocals and blazing melodies. Dead Rhetoric: You have amassed a considerable catalogue of songs and albums. Do you ever find yourself looking back upon certain eras for inspiration? David DeFeis: I look back upon our various eras to remember the people and places I have known and the situations and experiences that I have had. I listen to where we were at…where I was at and I learn many things from touching base with all the recordings we have done. I don’t specifically look back to the albums to inspire or catapult me forward into the next project; it’s more to reconnect with the entire continuum, the full spectrum of where we have been and what we’ve done, to build on that and keep moving ever onward. I don’t want to stay in one place and get stagnant. Life itself…nature…the great world outside provides all the inspiration I need. I listen to the Virgin Steele catalogue the same way that I listen to Led Zeppelin or Queen: to be transported, to be taken on a journey, to bathe on all the various emotions expressed. 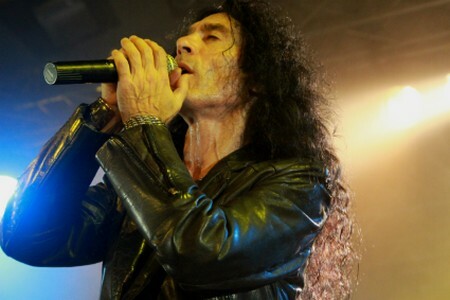 Dead Rhetoric: Is there a Virgin Steele album you feel is overlooked? I always thought The Book of Burning never got its just due. DeFeis: That is probably one that was overlooked. Also, Age of Consent was initially overlooked. When it was first released, it had no real fanfare or promotion but we made up for that with the re-issues, so it eventually received its due. And Visions of Eden was also slow getting started. Four years after its release it acquired more steam, more interest and then when I put out the re-issues with the remix version, it really took off. Dead Rhetoric: You are a songwriter at heart. Do you ever run out of ideas? DeFeis: No. I do have my problems, but writer’s block has never been one of them. I am constantly writing music, lyrics…poems…all sorts of things. I have a strong, perhaps even violent need to do this. It keeps me somewhat sane, helps me make sense of my world and my place inside it. 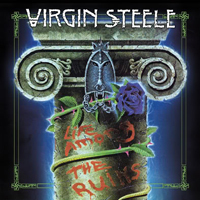 Dead Rhetoric: Virgin Steele has been active since 1981. What keeps the band going? DeFeis: The complete and absolute love of music. The love of words, the mystery of composing, creating and trying to document in sound the full thrust and passion of living life to the fullest. The Magick of recording — capturing everything on tape and the love of performing, doing video clips and connecting with people around the world who actually understand what we are doing. Dead Rhetoric: As for the three new albums, there are 88 total songs. Describe the work that went into assembling it all. DeFeis: Well, first, there was the re-mastering work to do on the two re-issues, The Book of Burning and Hymns to Victory. That kind of thing in itself takes time, patience and requires lots of listening. As I was doing that, I had already begun recording what would be the Gothic Voodoo Anthems album. That album is mainly our live setlist for when we perform in that stripped-down manner. Anyway, performing live, we did the entire set over a two-day period and picked what we thought captured the best moments. I call those sessions “The Not Exactly Acoustic Sessions” as they were not acoustic! We did everything, live and loud and raw, performing through a big PA system. Thus, the Gothic Voodoo Anthems album began. As if that wasn’t enough, after picking the tracks that we did together, I went back in by myself and recorded a few more additional songs, which found me playing everything and singing of course. Those tracks I did alone are: “I Will Come for You,” “Kingdom of the Fearless,” “Zeus Ascendant, “By the Hammer of Zeus,” “Dust from the Burning” and “Amaranth,” plus, I also did a few more songs, but we couldn’t fit everything, so the additional tracks I did will perhaps appear as bonus material sometime later on. At the same time, I was doing all that I was also recording several tracks that wound up on the Ghost Harvest Vintage 2 (Red Wine For Warning) album. Since that disc 2 album is quite eclectic, I thought that perhaps we needed a few more full-on bombastic heavy tracks, so at the 11th hour, I wrote the songs “Feral,” “Psychic Slaughter,” “Seven Dead Within,” “Green Dusk Blues” and a few other bits. We recorded all that within the last few weeks before delivering the whole box set to SPV. I think that with the inclusion of all those tracks on Ghost Harvest Vintage 1 (Black Wine For Mourning), the whole series is more balanced, and there is probably something in there for everyone now and the package features a full representation of all our various musical incarnations. Dead Rhetoric: How helpful of a partner is SPV in all of this? Do they let you do whatever you want? DeFeis: Yes, they do let us do whatever we want to do. They do not interfere with the creative process or the recording process at all. They are very hands-off. We make the albums, we deliver them and they put them out. It is wonderful to have this type of relationship. We do our thing and they do theirs: promoting, getting it into the stores, getting it online, etc. Dead Rhetoric: Speaking of partners, Ed has been with you for quite a long time. How has your relationship developed over the years? DeFeis: I knew Edward long before I started Virgin Steele. It was inevitable that one day we would be in a band together full0time, as we began performing together since we were about 15-years-old. Over the years, our chemistry deepened, as did our friendship and our shared life experiences have shaped us and that, in turn, informed how we communicate musically and otherwise. We still write very well together when the time permits and we still have the same wildfire when we are recording or performing. We are essentially the same as when we started, only now, we probably work even faster as we know each other so well. Edward has always been keen to put all his efforts into the songs that I write and this has only grown stronger over the years. He has been a true champion of my compositions and is a great supporter of all that I do and I, in turn, try to do all that I can to support him both musically and also wherever he wants to go in life and I try to help cultivate whatever his interests and pursuits are. Dead Rhetoric: You were one of the first bands to blend metal with orchestration and theatrics. Now, it’s commonplace. Do any of these bands excite you? DeFeis: To be honest, I don’t really listen all that much to what other bands are doing these days. If something is brought to my attention, I will investigate and give it my full concentration and a fair chance, but I am usually so busy and so engrossed in my own writing and recording that I don’t really get too many moments to explore much of what is currently out there. Dead Rhetoric: What’s the live show approach going to be heading into 2019? DeFeis: It will probably start off with more of the “Not Exactly Acoustic” more orchestral type of approach as found on the Gothic Voodoo Anthems album, combined with what Edward and I were doing when he and I went out and did all those acoustic shows we had done earlier. I would like to combine all that and have the set build to a super-powerful crescendo. Dead Rhetoric: Finally, what’s next for you and the band? 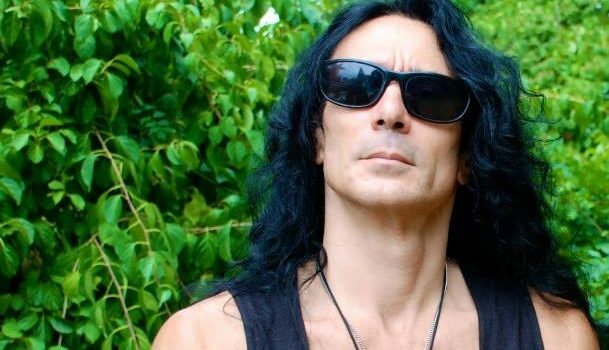 DeFeis: The next two new albums are already in the works. One of the two is kind of a “Greek Tragedy,” very epic and very heavy and the other is a more Gothic autumnal type album: dark, mysterious and also quite heavy. We are recording now and I do hope to have at least one of the two ready for a release in 2019. But, prior to that, we will issue a kind of audio/video montage, a sort of sampler and documentary, if you will, that explores this five-disc box set we just released called Seven Devils Moonshine. Through narration, audio sample excerpts and both moving video/visual images and still photos, we explore many of the 88 tracks included within this box set. We hope that this will invite people into our world and provide a bit of understanding about this massive collection we just released.